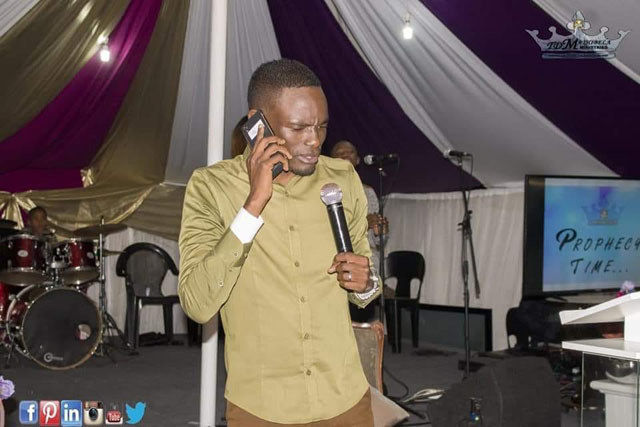 CHARISMATIC pastor Paul Sanyangore left hundreds of followers in Cape Town awe-struck when he delivered prophecies via a mobile phone at a four-day conference dubbed ‘Heaven Online’ in Delft. 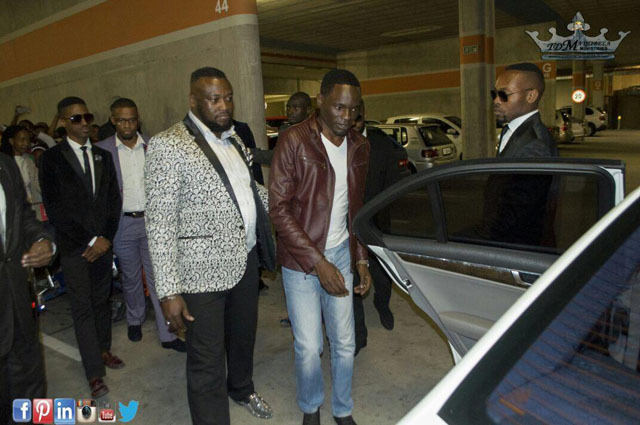 This was Sanyangore’s first time in Cape Town where he was feted like a king since his arrival at the airport on Wednesday night. He was received by hundreds of worshippers and bodyguards before he was whisked away in an entourage of sleek German automobiles. “The people in South Africa are thirsty for the word of God. 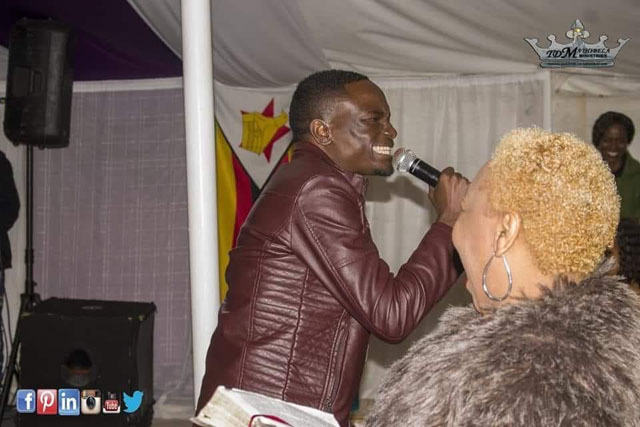 I was warmly received and clearly you can see as they say no prophet is acceptable in his own country,” said Sanyangore who is being hosted by Apostle TD Mathibela overseer of Living Word Tabernacle. 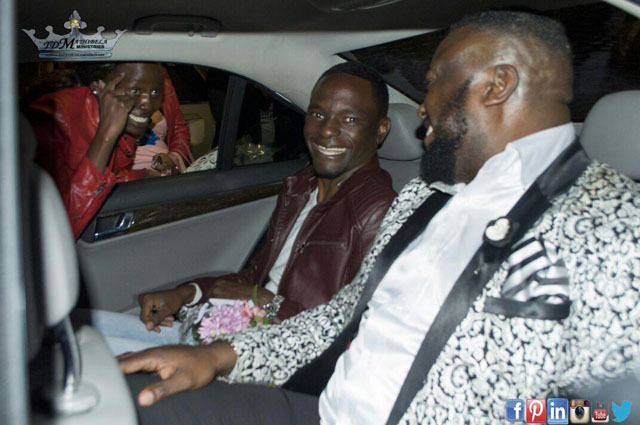 Sanyangore left the congregants surprised when he started delivering prophecies via a cellphone. “Yes papa God, am listening. You want me to name hip hop artists? I know Jay Zee and Kanye West. Oh you mean Rick Ross? Who is Ross in here?” asked Sanyangore before a congregant named Ross moved forward for his prophecy. Ross confirmed he had been a gangster who used guns and was delivered. In another incident a businessman who owns a car sale confirmed his business was going down. In the prophecy Sanyangore revealed his business has been cursed. He then instructed men to go to the car sale where they dug out a 2-metre long snake which had started to decompose. 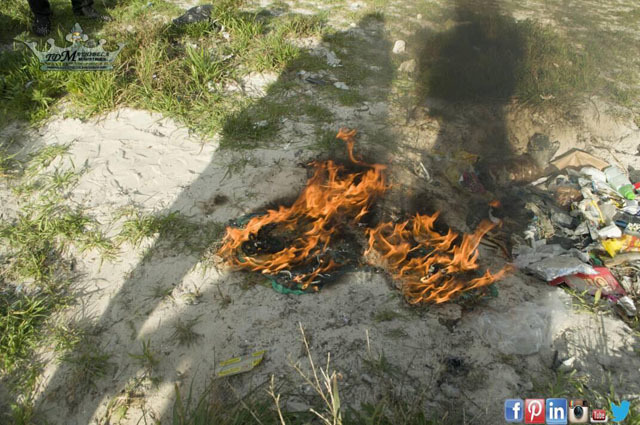 They then burnt the snake. In an interview with H-Metro Sanyagore revealed that to the “common man” it is not possible to believe in miracles when you have no faith. “I am a 21st century prophet. In the olden days God spoke to Moses through a burning bush. In this modern era we have been blessed with communication gadgets like cellphones where we can communicate directly with God,” said Sanyagore. He revealed he was inundated with requests for interviews with various radio and television stations in South Africa and Ghana. “We are not going to stop with our Heaven Online tour. We will be in Pretoria at the end of the month before we go to Zambia and Indonesia. “The Cape Town leg has been a success. People have been healed and delivered. The ministry here has multiplied in a matter of days,” he quipped.